[Model Combinations] and can be connected with the software program Homopath. Perfect combination of measurement, testing, stimulation and data transfer – the latest model in our product portfolio will impress you with its new technology and precise, easy to read bar display. 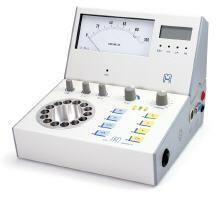 Versatility of measurement, testing and stimulation in one device – the premium middle class for demanding users. Singel or combined in a simple plug & play-system, these devices can be tailored to suit individualised work places. 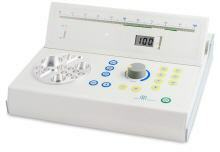 This portable diagnostic device with integrated measurement of electrical current in the mouth, large display instrument and digital display is ideal for the practice and for portable use. The ideal starting device for the modern bioelectrical assessment procedures; expandable in a modular system with the Akuport MT and/or MR2. 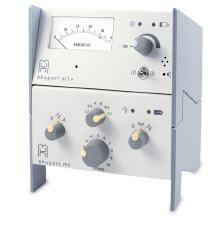 This device is available as stand-alone version or in combination with the measurement device Akuport M1+.